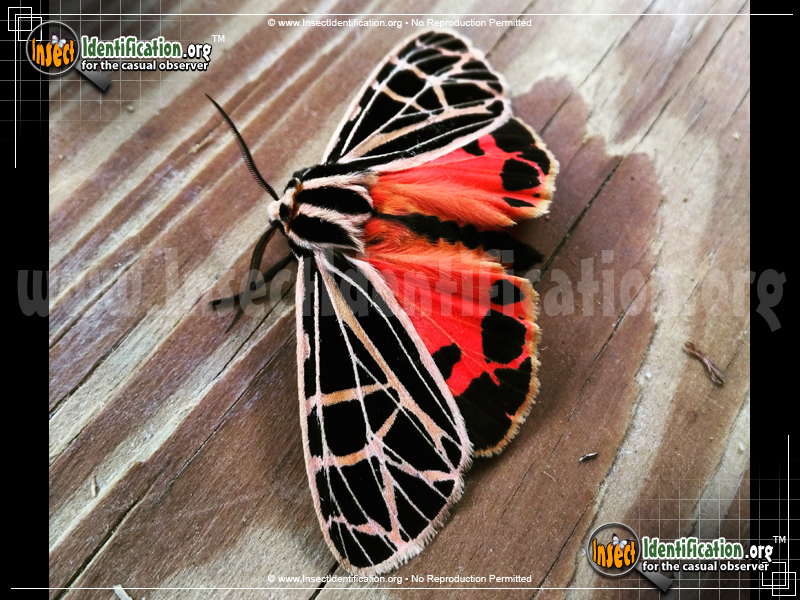 Detailing the physical features, habits, territorial reach and other identifying qualities of the Parthenice Tiger Moth. 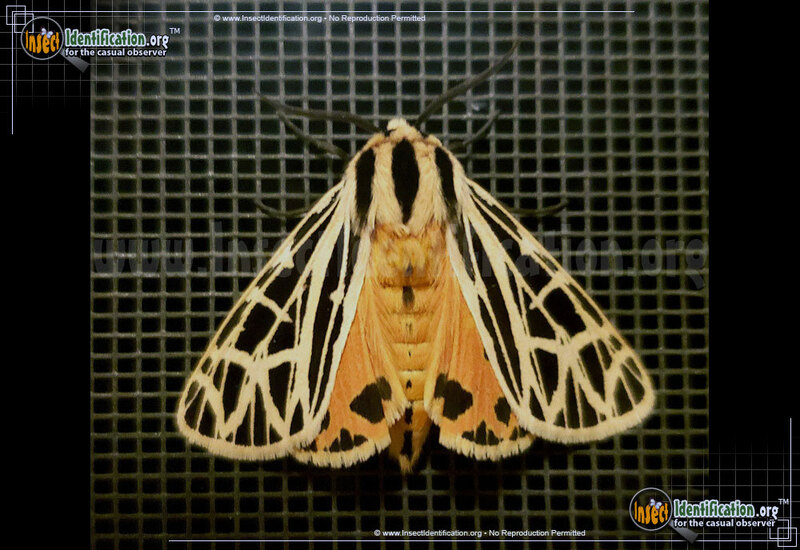 A mosaic of black panes and ivory veins cut sharp lines across the wings of the Parthenice Tiger Moth. 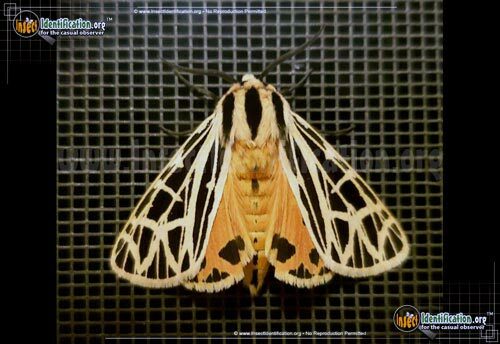 Like most Tiger Moths, the Parthenice Tiger has bold coloring and distinctive patterns, making it easier to identify them. The wings are covered in triangles of black windowpanes bordered in tan frames. A plethora of thin veins criss-cross the black shapes unlike the wings in other related moths like the Harnessed Tiger Moth. The hindwings reveal a shock of bright pink when wings are flat and spread open. Small black patches border these wings and a crescent-shaped black spot stands alone at the center edge of the hindwing. The salmon-pink abdomen has a line of black dots running down the 'spine' and black coloring on the ventral (belly) side as well. The black antennae have short fine lashes on them. The larvae of the Parthenice Tiger Moth is toxic and are generally left alone by birds, small mammals, and other typical caterpillar predators. Covered in dark stiff hairs, the Parthenice Tiger Moth caterpillars eat the leaves of dandelions, ironweed, and thistle plants. They are not considered a pest insect. Two broods can be produced each year. Adults can be seen from early summer through early autumn. They are nocturnal, but are attracted to lights at night. Look for them in fields, parks, and at the edges of forests and woodlands.